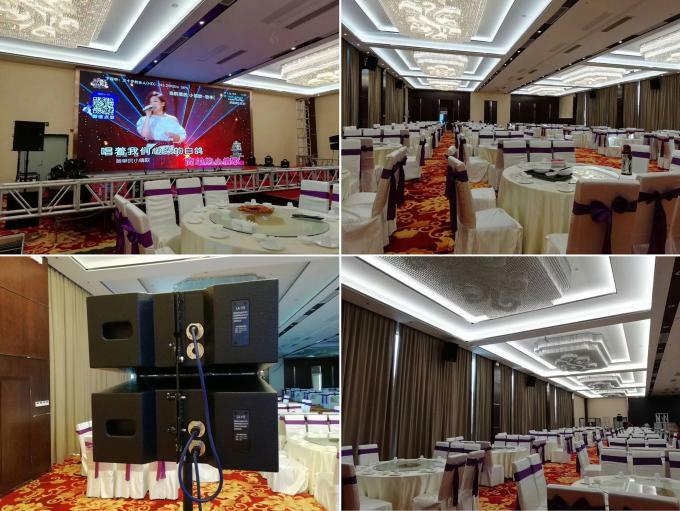 Multipurpose line array speaker system. 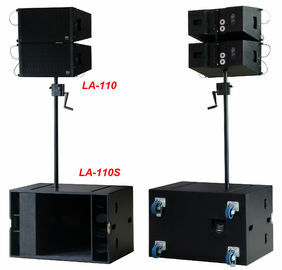 LA-110 fixed with Neodymium drivers, light weight, sound direction adjustable. 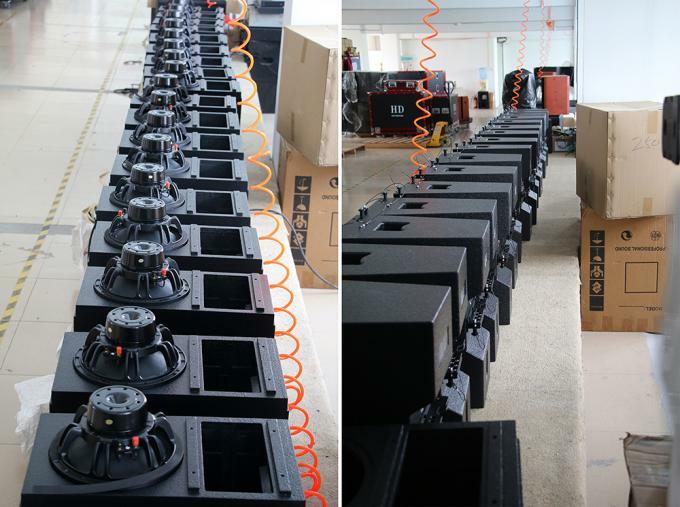 Single 18" horn loaded subwoofer LA-110S has big interior space to hold 2pcs LA-110 to avoid damage during transport and save sea freight charge. 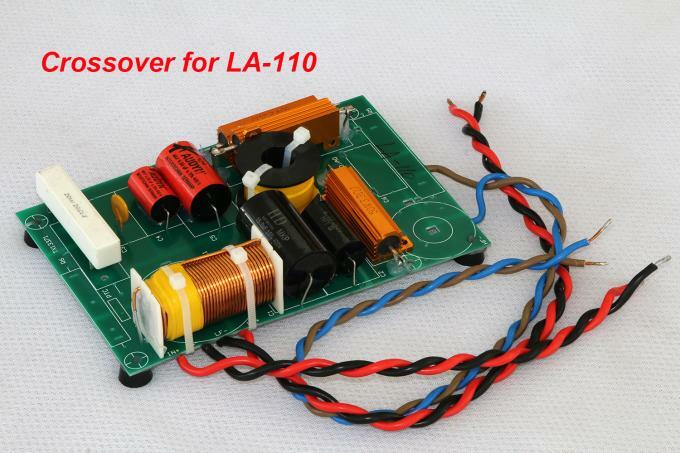 LA-110 is fixed with 2pcs 1" HF and 1pcs 10" LF neodymium drivers. 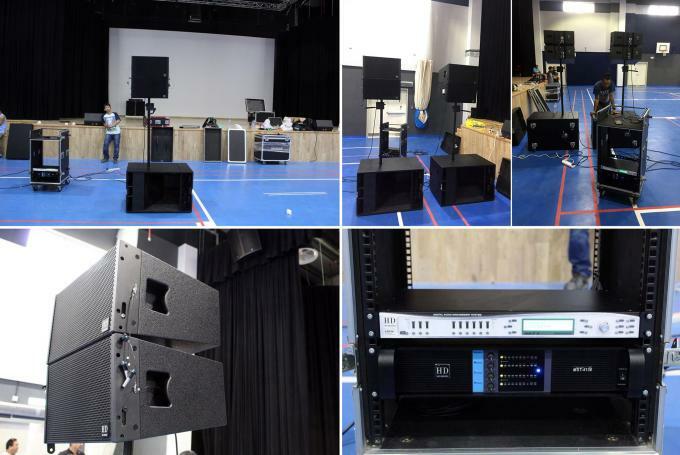 Crossover mode: PASSIVE(wth built in crossover, and the crossover is fixed with AUDYN capacitors-the one d&b, CODA, TW AUDIO and other big brands use in their loudspeakers). 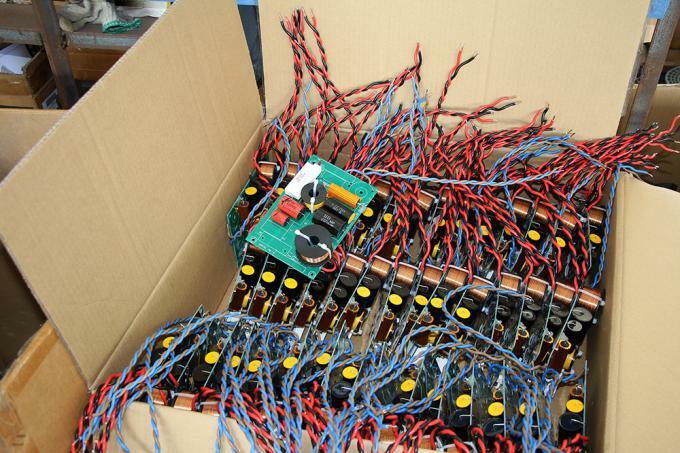 Each LA-110 is 400W@8ohm. 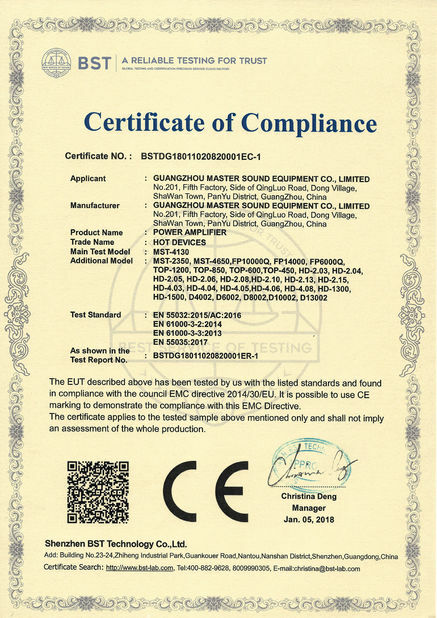 Parallelly connect 2pcs LA-110, you get 4ohm. 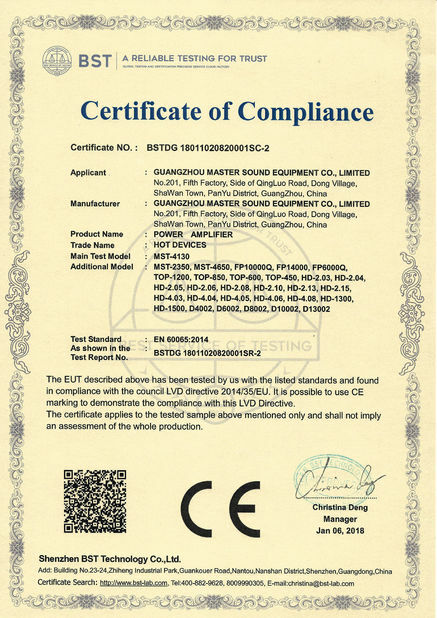 As shown in the picture, every LA-110 is fixed with 2pcs NL4MPR metal connectors at the rear panel. 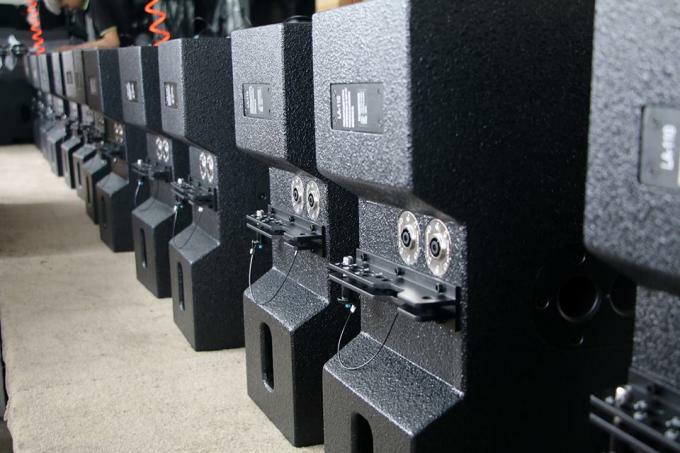 These connectors ensure high durability and make the speaker look higher end and more beautiful. 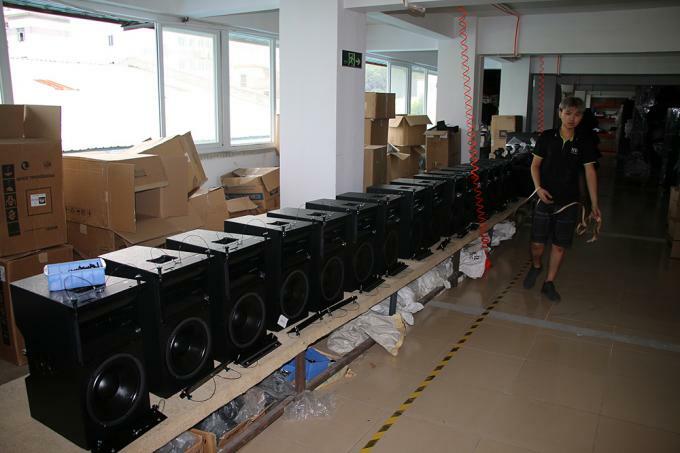 LA-110S is one big horn-loaded subwoofer with single 18" LF neodymium driver with power handling capacity 600W (rms). 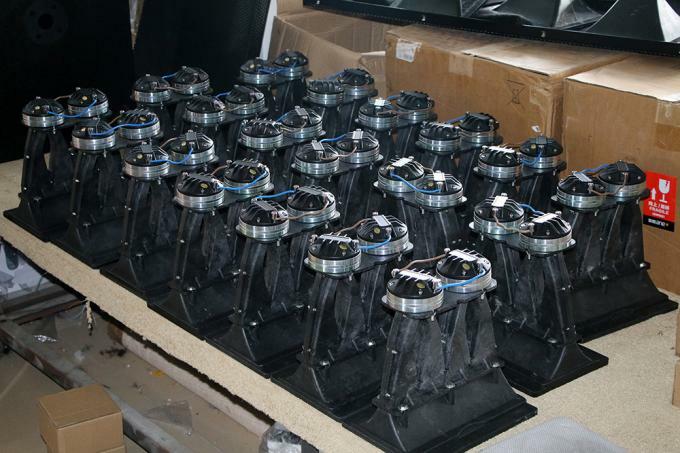 The cabinet is fixed with 4 castors, easy for transport during events. 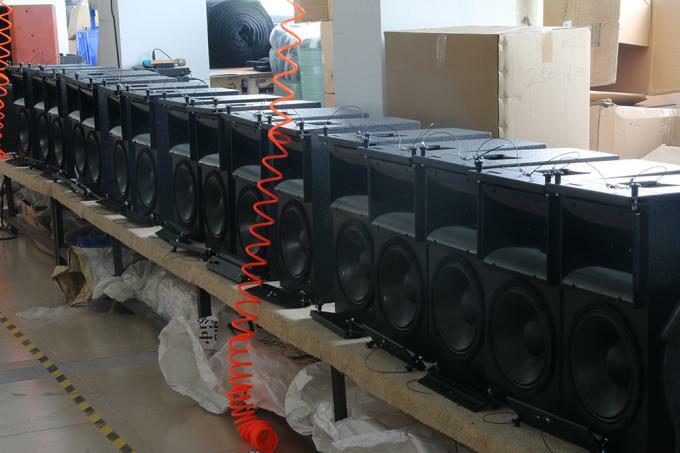 In order to save space during transport and avoid damage, the big interior space of each LA-110S can hold 2pcs full range speakers LA-110. 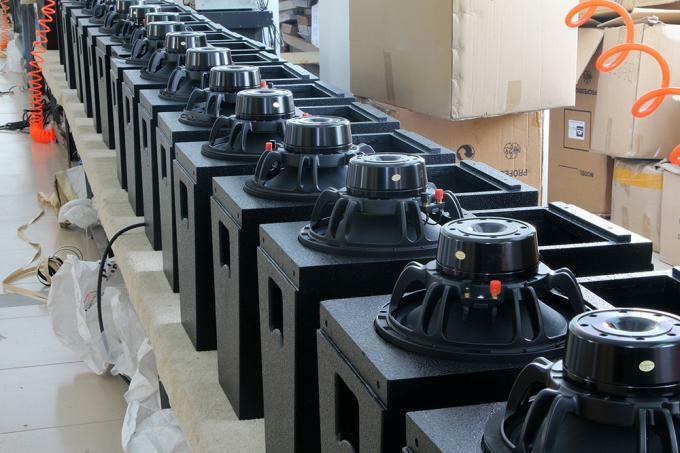 For single 18" subwoofers, you have another two options: LA-210S(BANDPASS design) and M-618B(Direct reflex design). 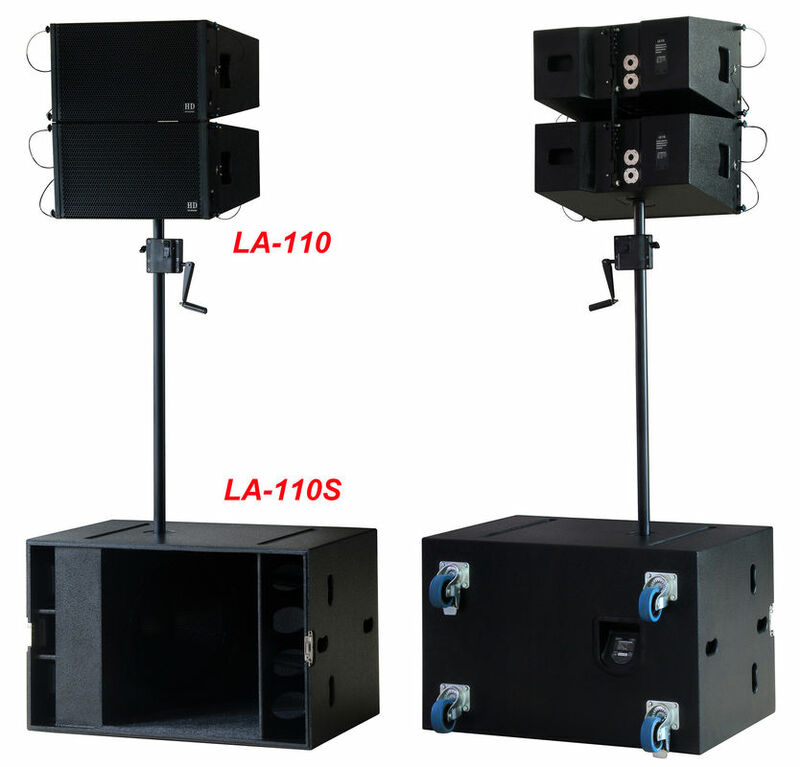 System configuration: LA-110 can be pole mounted on subwoofer LA-110S,and sound direction can be adjusted via the two mount hole at cabinet bottom or the hardware at cabinet rear panel. 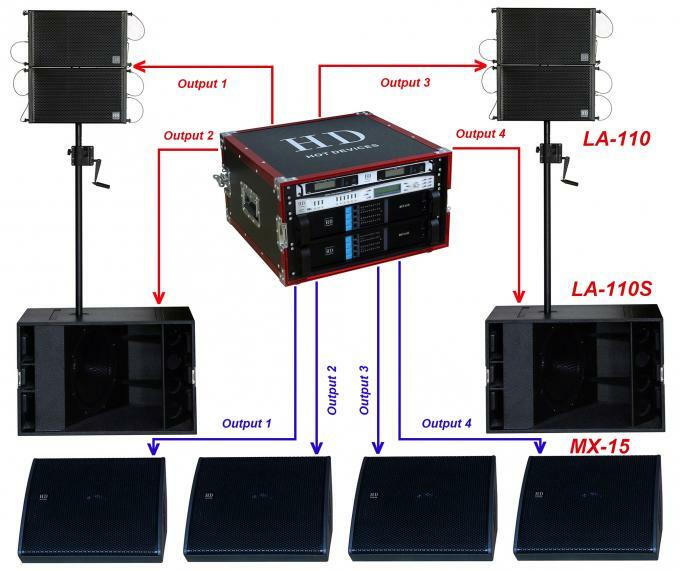 For fixed installation, you can fly LA-110 with T-Bar and put subwoofer LA-110S on the ground. 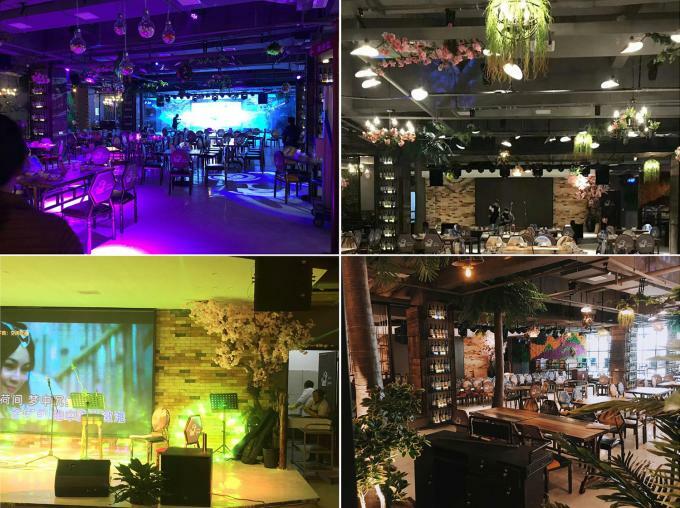 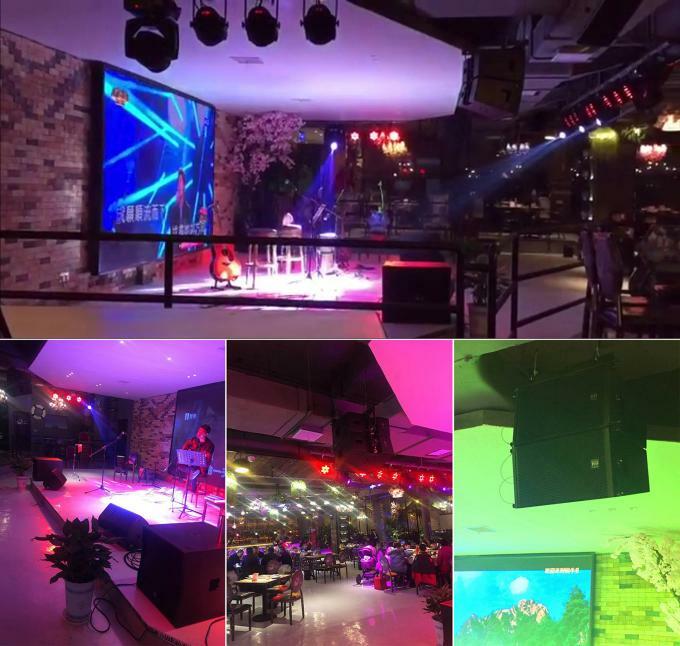 To set up LA-110 + LA-110S line array speaker system + M4 coaxial stage monitors, you can use our 4 channel switching amplifier FP 10000Q(Also model MST-4130: 4*1300W@8ohm and 4*2200W@4ohm) and LSC36(or LSC48)signal processors.